JNTUA B.Pharmacy 1-2 Sem (R15) & I Year (R13, R09) Supply Results Dec 2018, jntu anantapur results of I Year II Semester R15 Supplementary Examinations Results 2018. 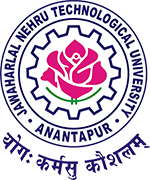 JNTU anantapur has announced B.Pharmacy I year II Semester (R15) Supplementary Examination and B.Pharmacy I year (R13, R09) Supplementary Examination Results December 2018 released. Students can their results from jntua official result portal. The results of following B.Pharmacy I Year and I Year II Semester Supplementary December 2018 Examinations are declared. The results are available in the University Examinations Results Portal at http://jntuaresults.azurewebsites.net. The candidates who wish to apply for recounting of theory external marks / challenge valuation / photocopy of answer script should submit the requisitions to their Principals along with the attested statement of marks with necessary fee on or before : 25.042019.